So good to see you are still around! So love the inspiration you bring to us. Merry Christmas! You make the most beautiful cards. I love to see them. Beautiful card! So good to see you're back to blogging! Glad that your back into blogging..
Seongsook, this is SO beautiful and elegant. I love the little gemstones you added. Thank you for the darling snowman card you sent to me. 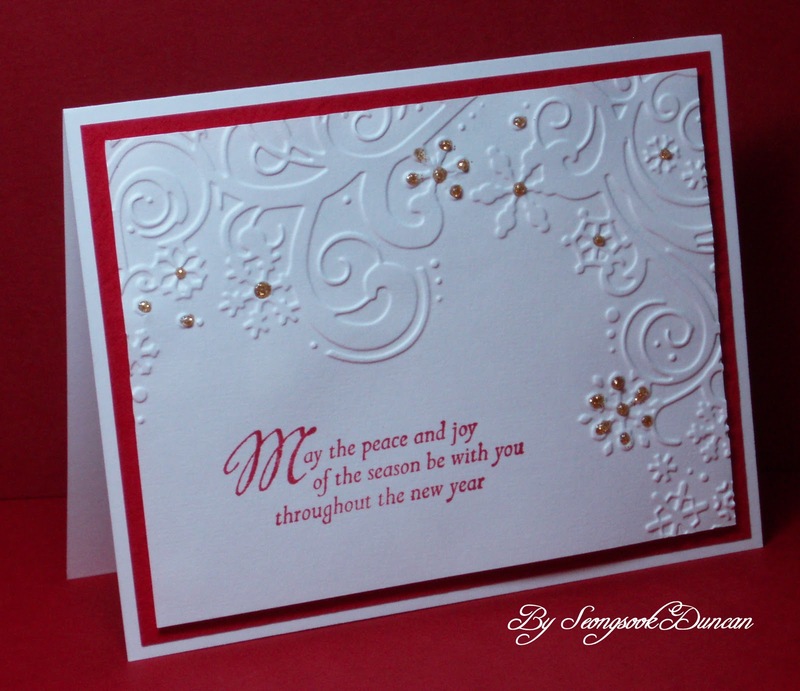 I love the snowflake embossing and your snowman is too cute.